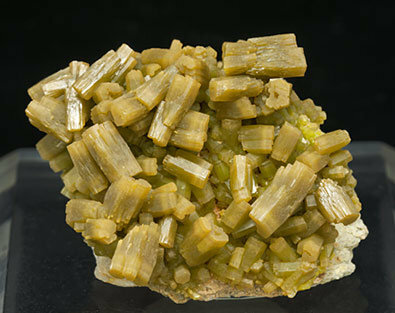 NT16AE3: Aggregate, on matrix, of prismatic crystals, some with deep hollowed terminations, and very well defined parallel growths. Its habit and brown color with greenish shades are very distinctive and make the samples from this find unmistakable and it has become a Spanish classic. 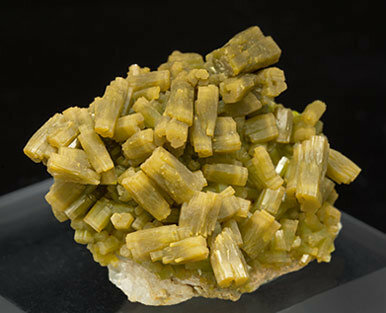 The specimen is from a cavity in an old lead mining area of Roman time where Pyromorphites appeared previously.